The Blue Spruce Award is a provincial primary reading program developed by the Ontario Library Association. Originally designed for students in Kindergarten to Grade 3, in 2007 the Blue Spruce Award and the Silver Birch Award were realigned. The Blue Spruce Award is now geared for students in Kindergarten to Grade 2, while the Silver Birch Award expanded to include students in Grade 3. Ralph wants a bicycle, but as everyone tells him, cows don't ride bicycles! 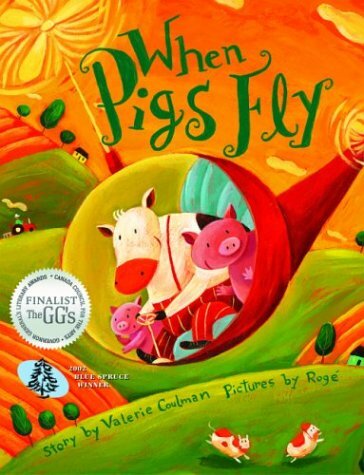 His father unwittingly offers a glimmer of hope when he tells Ralph he can have a bicycle "when pigs fly." But cows don't ride bikes and pigs don't fly, right? "We'll soon see about that," says a determined Ralph. This enchanting award-winning picture book with vivid, witty illustrations shows young readers that sheer willpower can triumph over all the no's in the world. 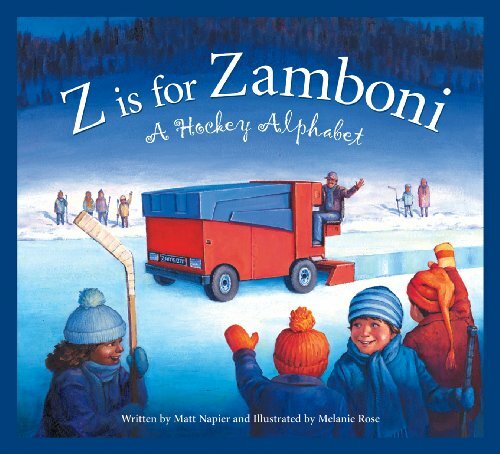 In the mold of our very popular series of state alphabet books, we offer "Z is for Zamboni" to hockey fans young and old across North America. Matt Napier's "breakaway" rhymes and "hard-checking" expository text team up with the "top-shelf" illustrations of Melanie Rose to elucidate this increasingly popular game for every beginning hockey aficionado. Highlighting rules, players, coaches, teams, and the history of the game, it is both fun and educational. Stanley's people go out a lot. Stanley is a good dog, but one night, while they're away, the temptation becomes too great and he sneaks up onto the couch. What a wonderful experience! Soon he's also blasting the music, dancing around the living room and raiding the fridge. Stanley's never had so much fun! 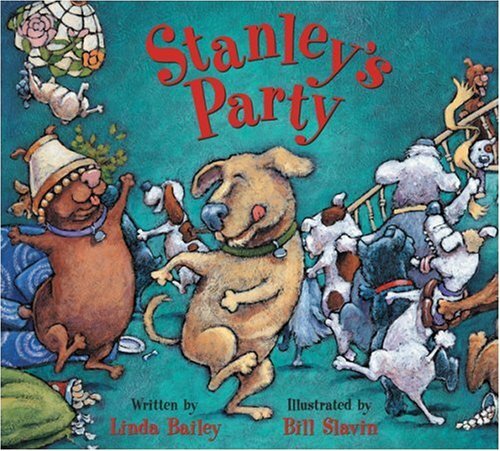 But after a couple of weeks something is missing, and Stanley realizes that partying alone has lost its thrill. By daylight, the Drumheller dinosaurs rest their ancient bones. But when the moon rises, so do these slumbering skeletons --- ready to tango, fandango, shimmy and shake! 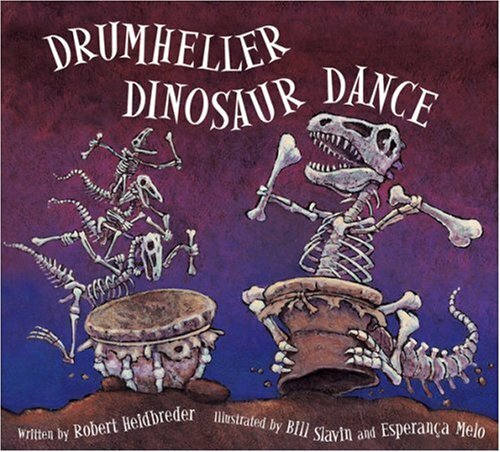 This exuberant read-aloud imagines what the dinosaur skeletons of world-famous Drumheller, Alberta, get up to when everyone's asleep. Kids will want to thumpity-thump along with these dynamic dinos as they dance across the dark, dusty Badlands. 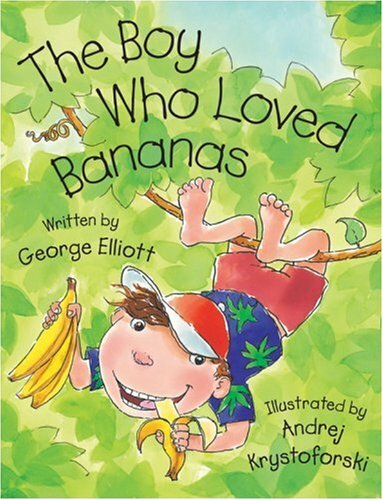 The hilarious tale of what happened to a boy who ate too many bananas. That lovable little worrywart is back. And he's as scaredy as ever! 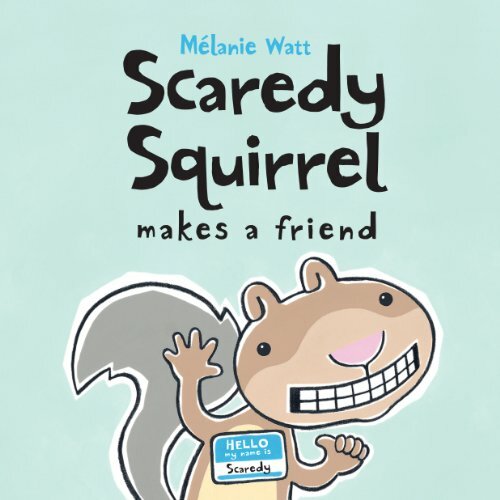 In his latest adventure, Scaredy Squirrel sets out to make The Perfect Friend. 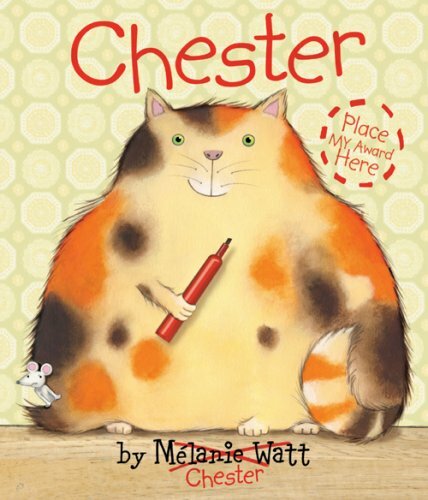 Chester is more than a picture book. It is a story told, and retold, by dueling author-illustrators. Mélanie Watt starts out with the story of a mouse in a house. Then Mélanie's cat, Chester, sends the mouse packing and proceeds to cover the pages with rewrites from his red marker, and the gloves are off. Mélanie and her mouse won't take Chester's antics lying down. And Chester is obviously a creative powerhouse with confidence to spare. Where will this war of the picture-book makers lead? Is it a one-way ticket to Chesterville, or will Mélanie get her mouse production off the ground? 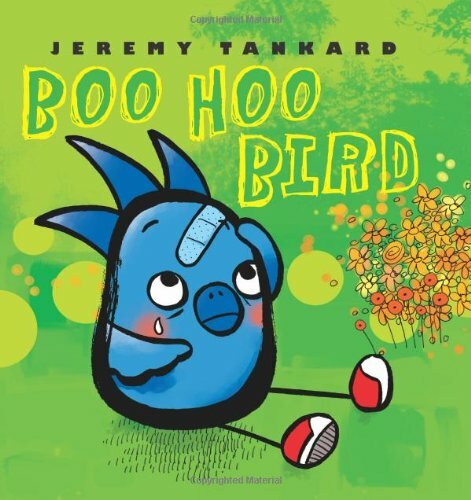 The irresistible Bird takes flight once again in this winning sequel to Jeremy Tankard's soaring spring 2007 debut, GRUMPY BIRD. Bird and Raccoon are playing ball, when Bird gets bonked on the head. "Boo hoo hoo!" he cries. What will make Bird feel better? A kiss? A cookie? A Band-Aid? Bird's friends Raccoon, Rabbit, Beaver, Sheep, and Fox are full of sweet and funny ideas. 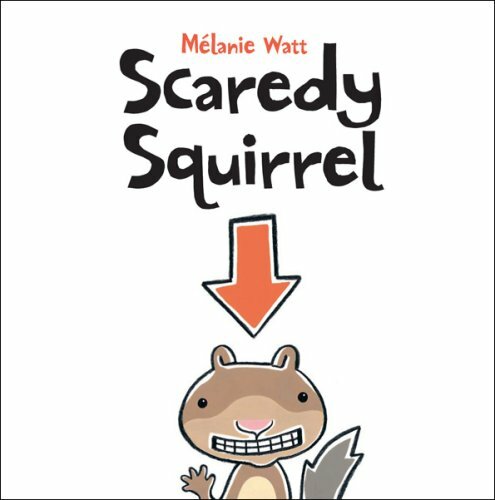 Perfectly pitched and hilariously imagined, this charming story about a universal experience will put a smile on the face of every child who has suffered a boo-boo and every parent who has struggled to come up with just the right way to give comfort. 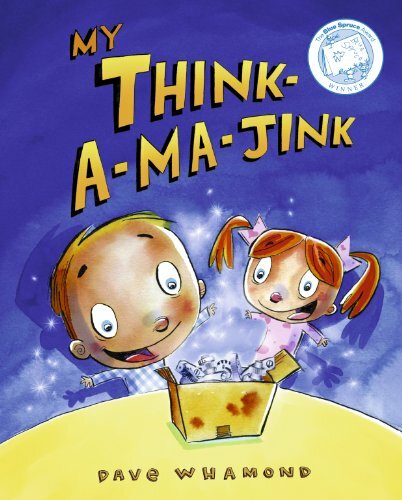 Since its publication in 2009, My Think-a-ma-Jink has found its way into the hearts — and imaginations — of thousands of children. Now, fresh off a win at the 2011 Blue Spruce Awards, My Think-a-ma-Jink is available in paperback! It's Jack's sixth birthday and he's not even excited. Model airplanes, stuffed dinosaurs...not even a talking robot can break him free of his bad mood. Enter a mysterious gift from Jack's equally mysterious Uncle Doug. Within an ordinary brown box glows the Think-a-ma-Jink, a bizarre contraption that claims to bend the laws of time and space. With this gadget, no idea is too fantastic to be realized, no world too distant to be visited, no personality too zany to be adopted. With his younger sister, Marie, at his side, Jack discovers a universe of infinite possibilities — one of cotton-candy-breathing dragons, ancient forests, and space-traveling hot-air balloons. But, when the Think-a-ma-Jink is destroyed in a shape-shifting struggle, Jack must learn to harness the power of his imagination or risk being eternally bored. It's true that getting along can be difficult, but Giraffe and Bird don't even try. When Bird makes a face, Giraffe sticks out his tongue; when Bird tweets in his ear, Giraffe invades Bird's personal space. Bird can't put up with Giraffe's bad breath; Giraffe can't abide it when Bird eats too much fiber and then ... well, you know. If you ask them, Giraffe and Bird will tell you: they can't stand each other. One day Giraffe loses his patience and Bird is fed up. 'Scram!' says Giraffe. 'Get lost!' says Bird. And so they do. You would think they'd be happy now, but you might be wrong. Without each other, how will Bird and Giraffe weather the coming storm? 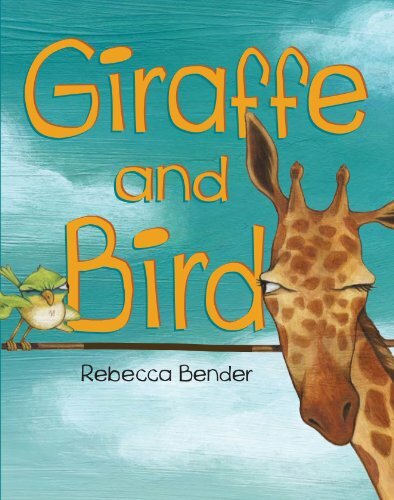 A hilarious debut by author and artist Rebecca Bender, Giraffe and Bird combines a clever text introducing synonyms with bright, expressive art to tell the funny and slightly tender story of two enemies who eventually realize they are much better off together.